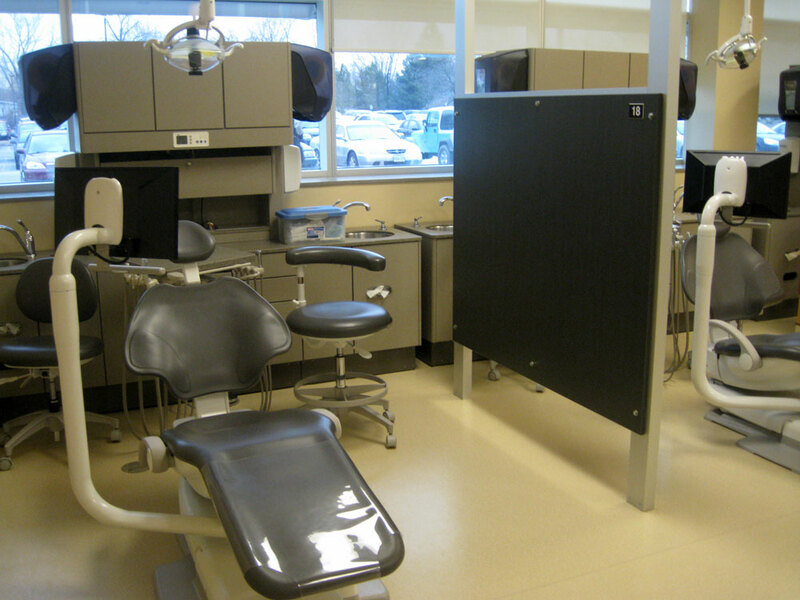 The St. Clair College Windsor Campus Dentistry program recently expanded and renovated to create a new 25 chair teaching facility. The requirement called for each chair to be equipped with 1 high volume suction tool (HVE) and 1 saliva ejector (SE) All suction would function on demand as required by the 25 students. The focus was on new technology and energy conservation. BaseVac offered a powerful completely dry and oil free suction alternative. The package specified was a model D100D, Duplex 5Hp oil-free waterless vacuum pumps with an auto drain 80 gallon air water separator. 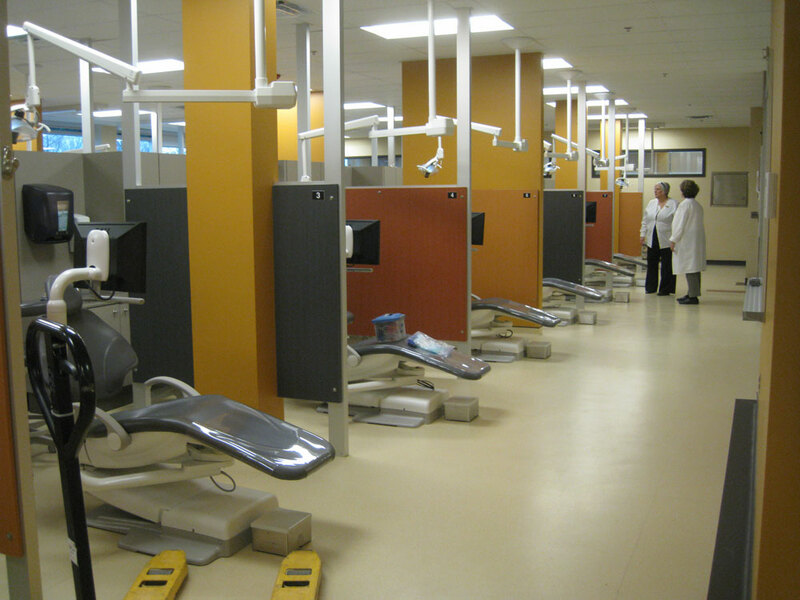 As the project evolved it became very clear that space in the equipment area was not only limited but too small to fit even a custom system. The BaseVac design team went to work to customize the custom system they had quoted and received the order for. 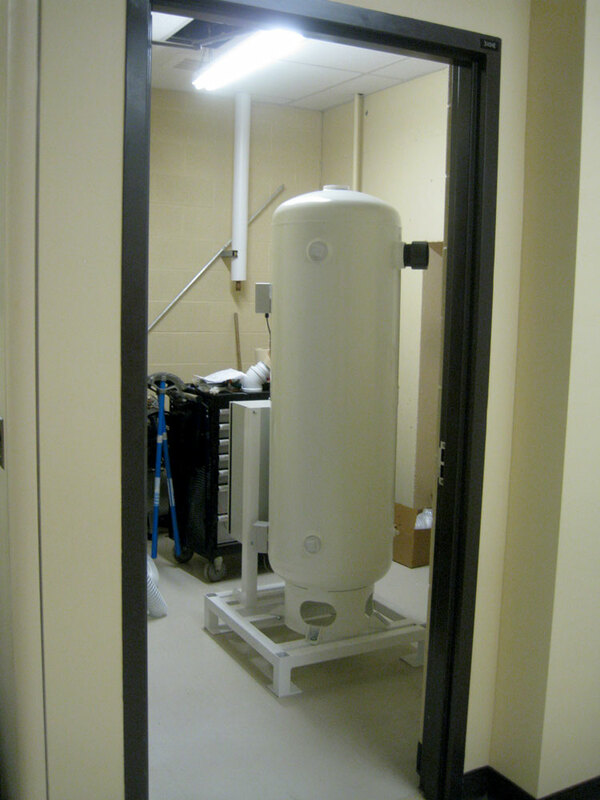 The pump rack was minimized to fit in a small space off the main room. 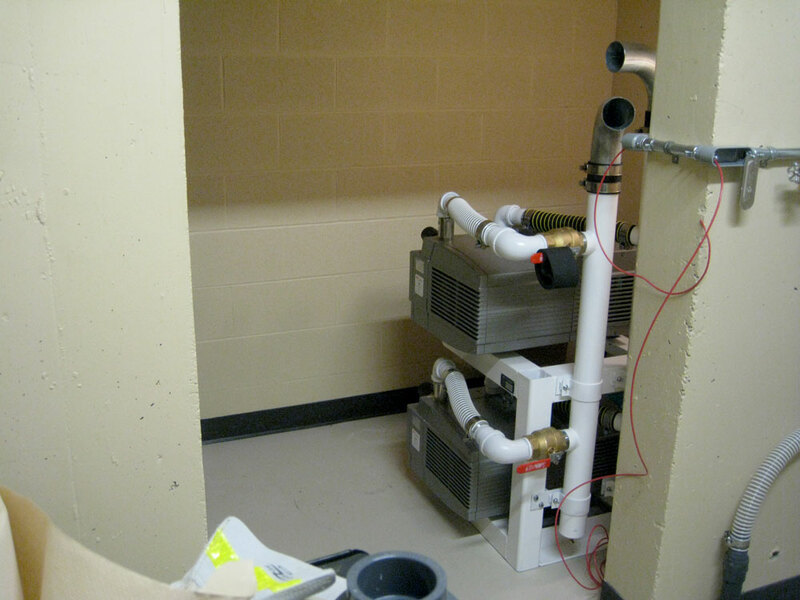 The air/water separator was fit onto a smaller base to allow installation close to the existing drain and power supply. The control panel was relocated to the air/water separator skid and cables supplied to the pump rack. 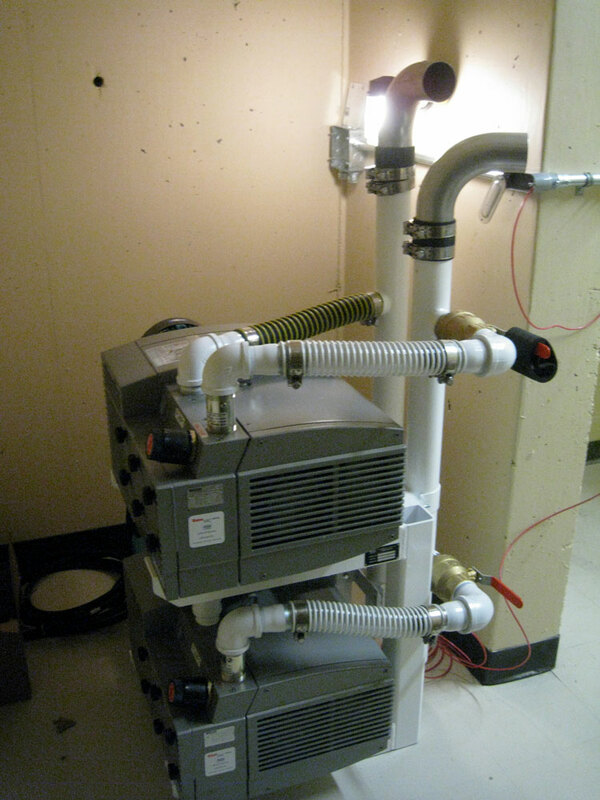 The BaseVac team provided a unique collection of pre bent and welded piping pieces to allow connection from one room to the other without forcing structural changes to the walls or floors.The result is a compact, powerful, custom designed two pump system. The PLC smart panel control alternates from one pump to two matching demands with vacuum supply. When the clinic is fully functioning only one 5HP pump is required. When asked how the suction system performed Lee Barber, Department Head (35 years experience) replied “the suction is fantastic.” BaseVac Dental Suction Systems are designed and manufactured in Mississauga, Ontario Canada and sold through Dental Dealers throughout North America.